See these pink signs? They’re all over my immediate neighborhood. I think pink indicates a movie shoot and other colors indicate commercials or television, but I’m just guessing based on the signs I see. 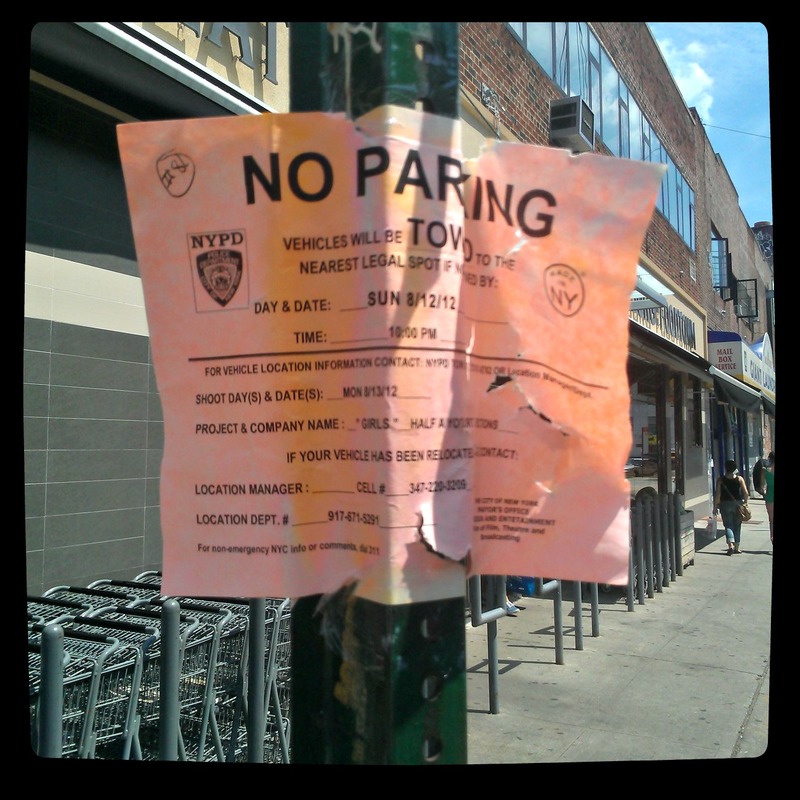 With TV shoots, the signs tell you which show. 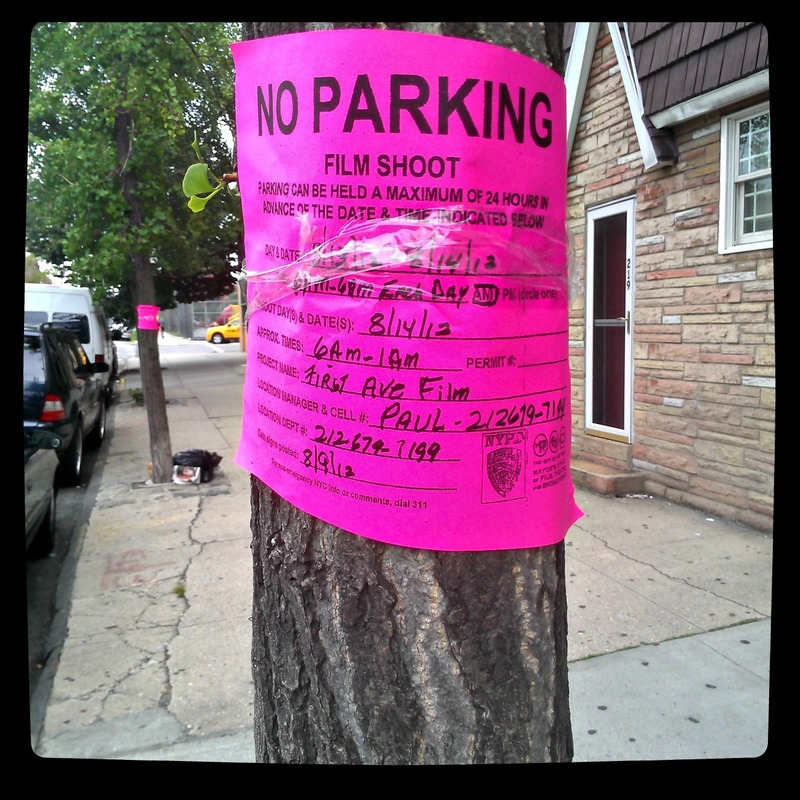 My neighborhood has been featured in White Collar and Girls recently. 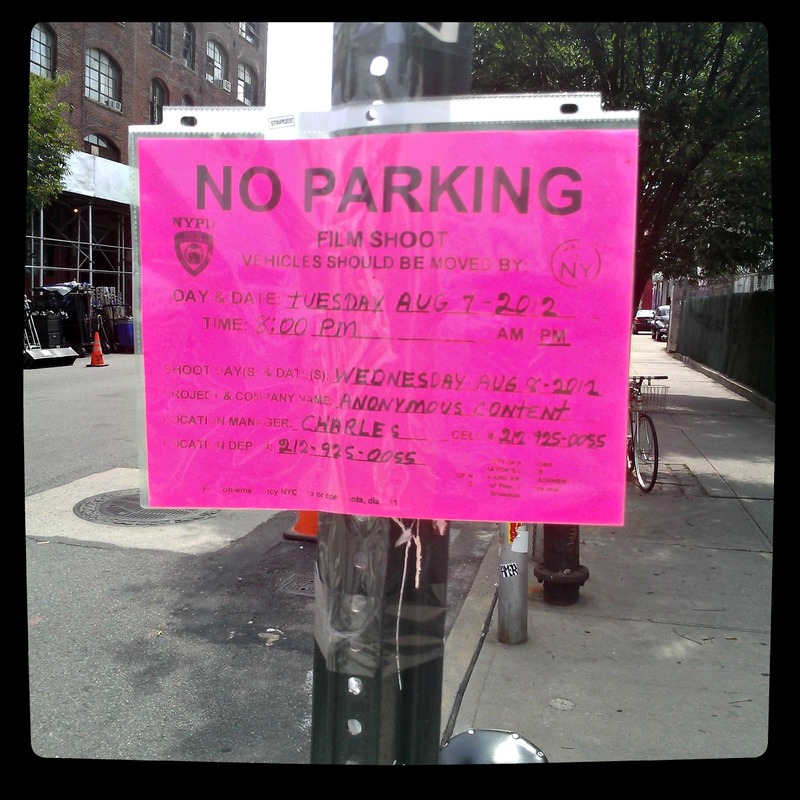 Girls is shooting here again today approximately three blocks away from the film shoot. Lena, if you need a bathroom, tweet me. OK? 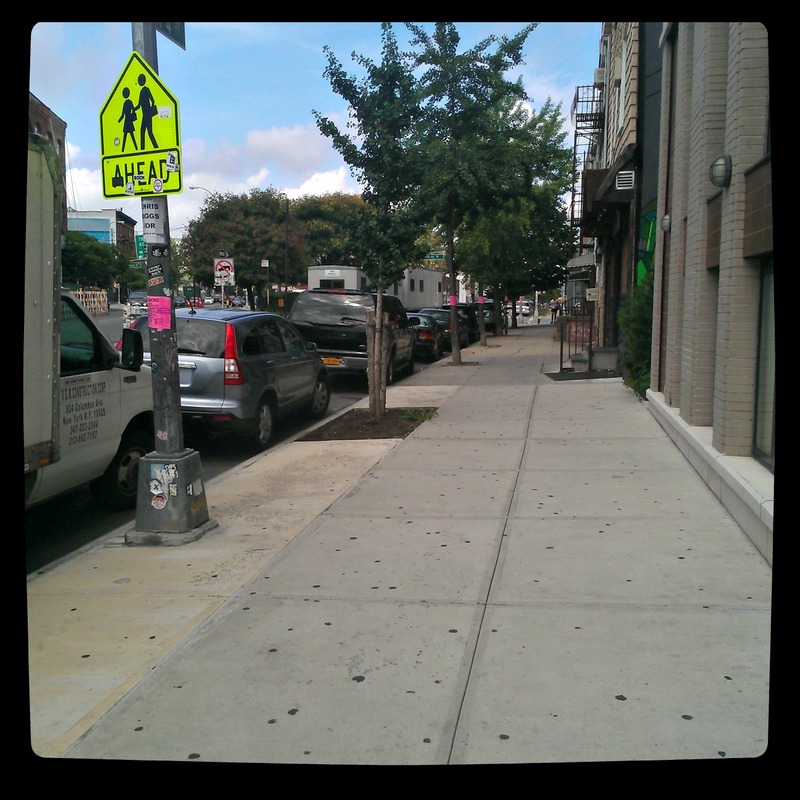 Have you ever had a shoot in your neighborhood? What was it like? This entry was posted in Entertaining things, NYC and tagged advertisements, brooklyn, film, nyc, television on August 13, 2012 by onechicklette.